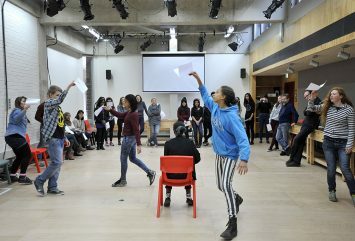 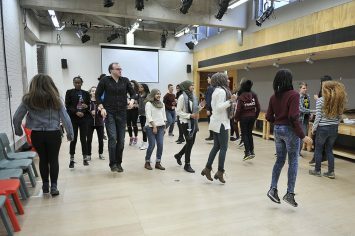 Members of the London Metropolitan University Art&Design Club were lucky enough to have two Masterclasses – one with puppeteers at the National Theatre and the other with the artist known as Bob and Roberta Smith. 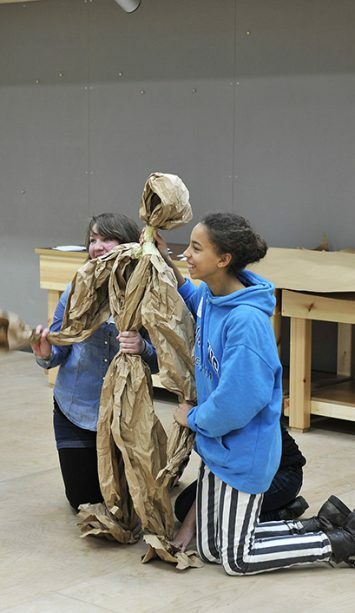 At the National Theatre, puppeteers Robin and Mervyn began with a demonstration of how to create a basic figure using two strips of brown paper by scrunching the paper and creating a loop for the head, tying with masking tape and then doing the same for the waist. 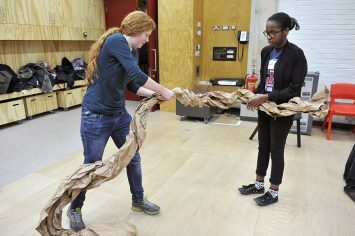 The second piece of scrunched up paper formed the arms which were attached to the top part of the second loop, creating shoulders and arms. 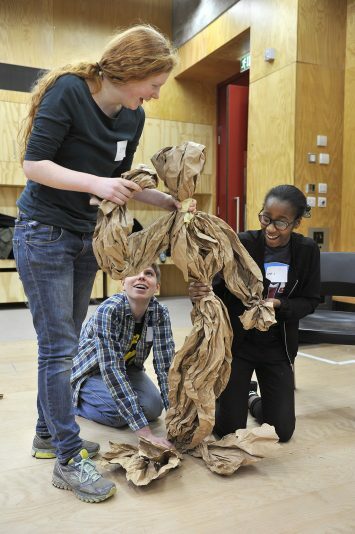 They then demonstrated with the help of Club members the use of three puppets in how to translate movement and most importantly “breathe” life into the puppet. 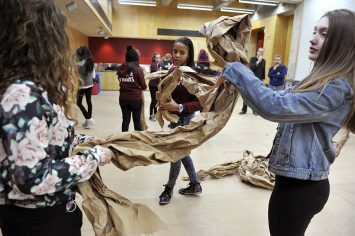 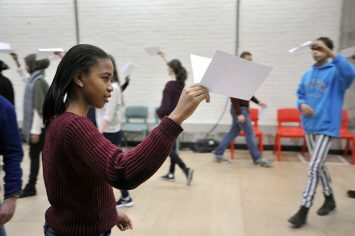 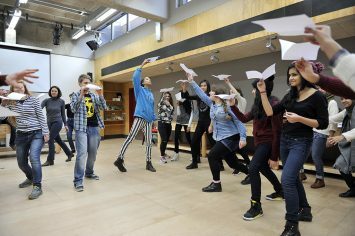 Club members were then put into groups of three to create their own paper puppet and to work on a sequence of three movements. 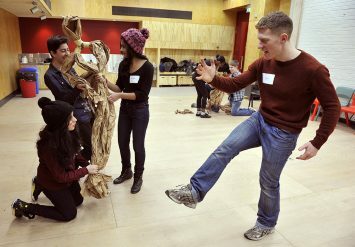 The groups were then combined, creating groups of six and two puppets. 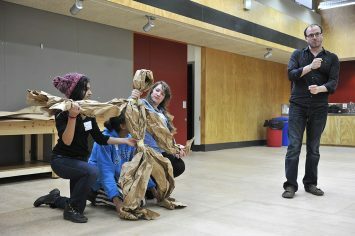 The final task was to then create a scene using both puppets based on the scenario they were given before presenting it to their peers.